Sign me up for the crew! 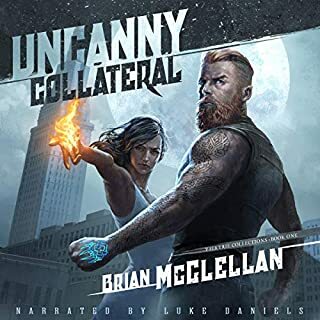 A god has died, and it’s up to Tara, a first-year associate in the international necromantic firm of Kelethras, Albrecht, and Ao, to bring him back to life before his city falls apart. Her client is Kos, recently deceased fire god of the city of Alt Coulumb. Without him, the metropolis’ steam generators will shut down, its trains will cease running, and its four million citizens will riot. Tara’s job: resurrect Kos before chaos sets in. Her only help: Abelard, a chain-smoking priest of the dead god who’s having an understandable crisis of faith. 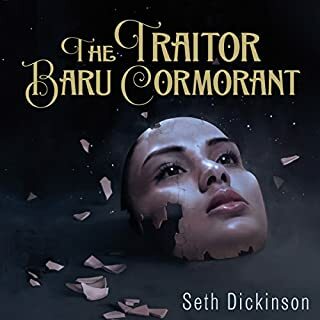 When Tara and Abelard discover that Kos was murdered, they have to make a case in Alt Coulumb’s courts - and their quest for the truth endangers their partnership, their lives, and Alt Coulumb’s slim hope of survival. Set in a phenomenally built world in which justice is a collective force bestowed on a few, craftsmen fly on lightning bolts, and gargoyles can rule cities, Three Parts Dead introduces listeners to an ethical landscape in which the line between right and wrong blurs. About the author: Max Gladstone went to Yale, where he wrote a short story that became a finalist in the Writers of the Future competition. He lives in Boston. 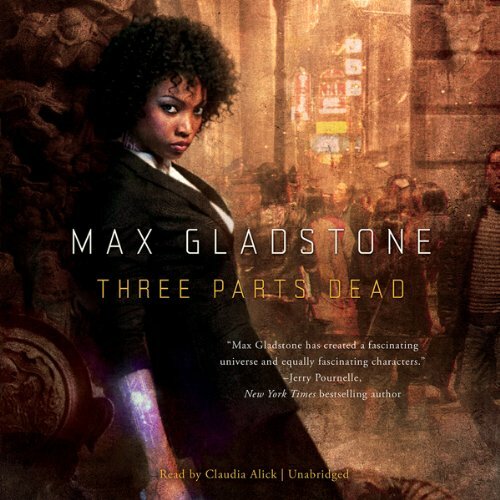 ©2012 Max Gladstone (P)2012 Blackstone Audio, Inc. I really liked this book. The story was significantly above average in quality, but not perfect. I will be reading the following books in this series in the months to come despite the imperfections. I could consistently see humor and good story telling in the story, which I thoroughly enjoyed. My one suggestion to the author would be to add more humor in the future, so we had something funny or a joke every two or three pages instead of every ten or twenty. My main issue was the narrator. She just didn't click with me. I liked 9/10ths of the voices she used, but disliked the voice she used for Tara. She made one of the main characters sound as if she had a lisp, or something. It was super minor, but it bugged me. Unlistenable narrator. Story seems really cool though. Would have to recommend staying away from the audiobook version of this. Claudia Alick reminds me of a muddle aged librarian reading to children, and in general was robbing any kind of interest or depth from what otherwise seemed an enthralling story. I never thought that I'd enjoy a court-room drama, but this is an amazing book. The world that Mr. Gladstone creates is vivid and believable, while still being fascinating and mysterious. I enjoyed the characters thoroughly and am looking forward to the rest of the series. I have to agree with some of the other reviewers: the narrator wrecks this book. She sounds like she is reading to a young child, and she gives the main character a lisp. What a train wreck. I am now reading this book on Kindle and it is very enjoyable. An average experience all around. 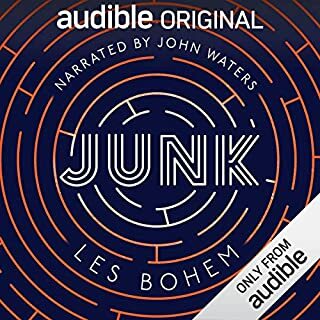 I listened to the book over the course of 3 weeks for my book club. The story was entertaining enough, but it wasn't tantalizing. It's a weird mix of "who done it", mystery, Sherlock, magic-something. It's not one of those tales that keeps you in your car after you park because you simply MUST know what happens next and you are stuck staring into space for a minute or two with your hand on the ignition. Also, you don't get a lot of explanation about the craft; you are dropped into this world without much background and the twists this story takes don't make much sense or give you a sense of "A-HA!" because you weren't aware that The Craft could do that. It has potential though. Lastly, I couldn't tell if this world was supposed to be some sort of parallel to our known world. The language was "of this earth", and so were the drinks (whiskey, gin and tonic?!). It almost gave me a sense of an alternate earth universe or something. The narrator was ok... Aside from the two main characters, the voices weren't really distinct. But unlike some other reviewers, I didn't think she was terrible. A narrator can make or break a book for me. I wanted to like the book but this narrator just wasn't for me. I thought she asked a question, and so I replayed that part and it was not a question. I couldn't get into this book at all. I kept rewinding it over and over, it just didn't work for me. I'll just buy the ebook and read it someday. Three Parts Dead is, as one of my fellow reviewers said, “wonderfully inventive.” I enjoyed the story but felt a little lost in the world sometimes — it’s so inventive that I never felt quite grounded. I did, however, like the characters and the story. 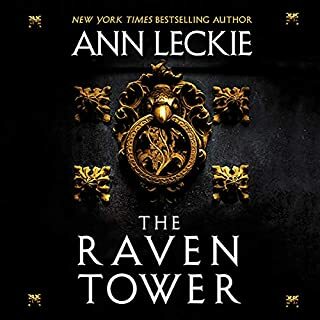 I listened to Blackstone Audio’s version which was read by Claudia Alick. It took me a while to warm up to her because at first she has one of those rhythms that sounds like she’s reading to children, but I sped her up a bit and that helped. I also think her reading smoothed out a bit as the story went on. I think we both got more comfortable and compatible a couple of hours into the audio. I struggled with the story in the beginning but I'm really glad I stuck with it. I was sorry for it to end. I look forward to reading the next book in the series. I really liked this more unique world. Just the idea that essentially soul stuff is the currency of the world and God's and craftspeople can make contracts to take in and give this power. it's a pretty unique concept. Now this book is essentially a horror, fantasy, etc. murder mystery, and the author keeps you on your toes. And thinking back you realize some of the clues were there to figure out what was going on, as any good mystery should have. Every now and then I try an Urban Fantasy or YA book that’s been highly recommended. Almost each time I end up fighting the voice in my head that says “this was not written for you”. It’s hard for me to just ignore that and take the story for what it is. Zombies and Vampires and “YA” protagonists. 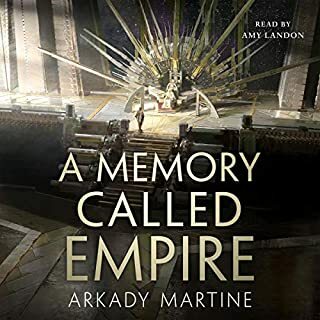 This book/series in particular has been so well received, I tried several times to start it and get drawn in, but it never happened and I couldn’t make it past a third of the way. 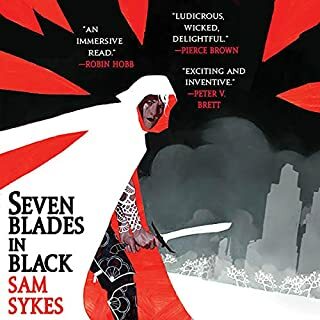 So I didn’t enjoy the book enough to recommend it, but I’m not sure my review will be helpful to anyone that doesn’t have the narrow spectrum of Urban Fantasy experience / appreciation was that matches mine. Take my feedback for the little that it’s probably worth as it relates to this book specifically.